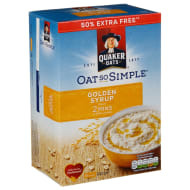 Quaker have been milling oats for over 100 years and know exactly what it takes to make a wholesome and tasty breakfast! 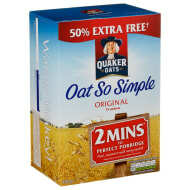 Our cereals contain the delicious goodness of wholegrain oats which are a great source of fibre. With a wide range of Quaker cereals available, you are sure to find the perfect cereal for you and the whole family!